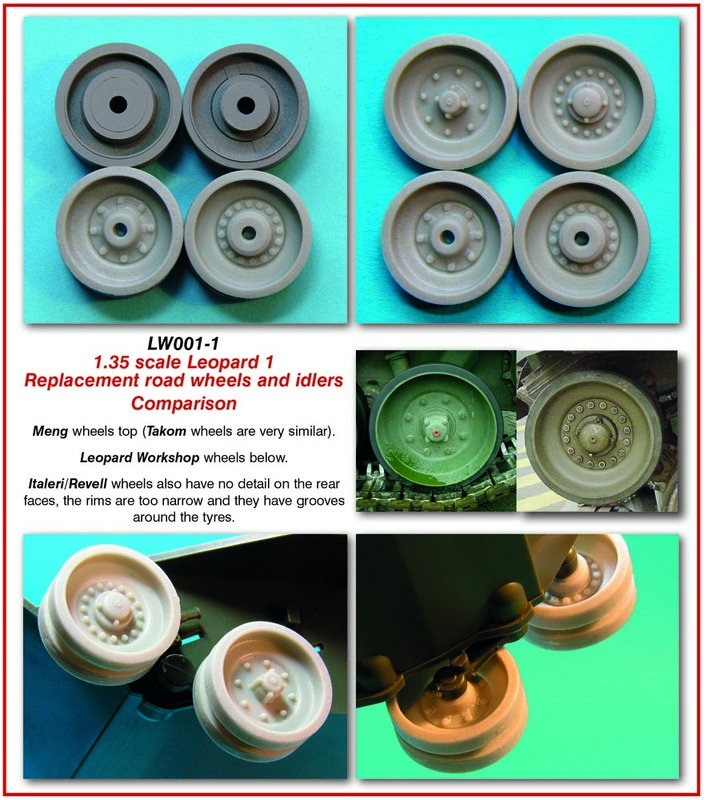 In time, the standard wheels used on Leopard 1 and variants needed replacement. These wheels, with more curvaceous inner rims, are frequently seen as replacements, often mixed together on the same tank with the original style wheels (LW001-1). It seems that German Leopard 1s tended to retain the original style wheel, but these 'curvy' wheels can be seen in use by most foreign users. 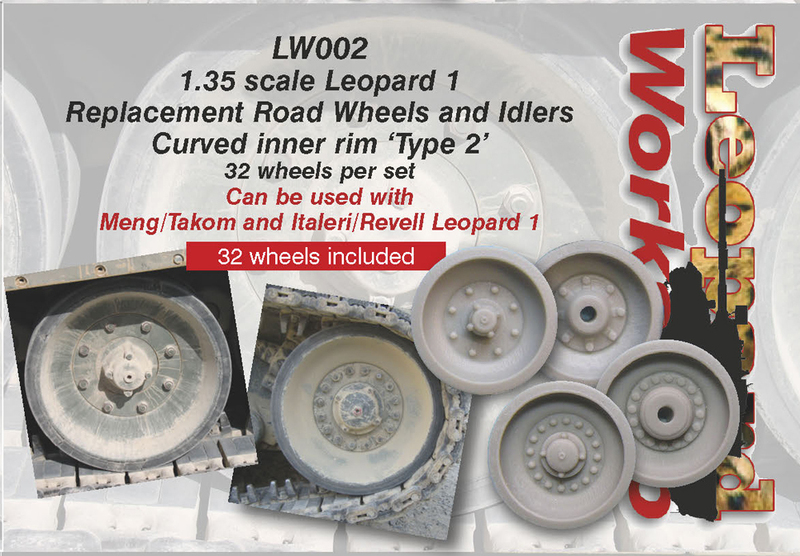 Previous Leopard 1 road wheels in plastic, and indeed replacement ones from the resin manufacturers, have one thing in common. None of them have any detail on the rear face of the road wheels or idlers. This set remedies this fault. They also remedy problems with the proportions of the Meng and Takom wheels. The road wheel axles need to be shortened to 4 mm. The Italeri idler axles are OK. Drill out the axle holes in these wheels to 2.5 mm. Label and instruction photos Anthony Sewards and Jan-Willem de Boer.